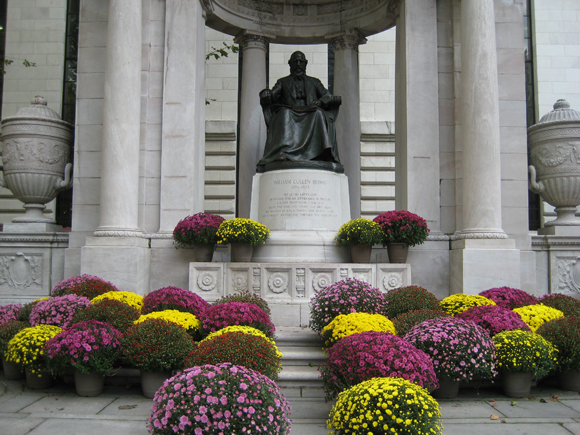 Bryant Park Blog: Happy Birthday William Cullen Bryant! 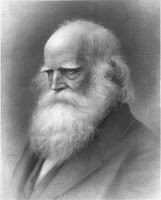 Happy Birthday William Cullen Bryant! Mr. Bryant's distinguished literary career was marked by volumes of romantic poetry and his tenure as a journalist and editor at the New York Evening Post. Reservoir Square was renamed in 1884 to honor Mr. Bryant posthumously, around the time that the Carrére and Hastings plan for the New York Public Library was commissioned by the city. Bryant was also a leading force in the plans to create Central Park, so it is only fitting that this New Yorker ended up with a park and a library in his name. Hope he likes his mums.